Children’s Paradise Toddler-care Center in San Diego offers your toddler the opportunity to further explore their little world, while enjoying a low toddler to teacher ratio. There are opportunities for climbing, running, jumping and dancing as your child learns through the use of their five senses. We are able to facilitate the expansion of brain development by introducing each child to new experiences that use sight, smell, touch, vision and listening. Cooking projects, art, beginning math, music and movement, sensory play, hands-on-science and playing dress up are just some of the activities that help your toddler better understand the world around them. Plenty of time will also be given to explore on our outside playground and develop an understanding of nature by digging and planting in their very own gardens. Modeling positive peer-to-peer interaction, including Respect, Sharing, Playing Together, Helping Our Friends and Forgiving. Enhanced Vocabulary through positive communication is also praised and learned. We make learning fun! Loving and highly educated caregivers using the Creative Curriculum for Infants & Toddlers. Every classroom at Children’s Paradise offers the most engaging, inspirational and imaginative learning environments filled with developmentally appropriate activities. 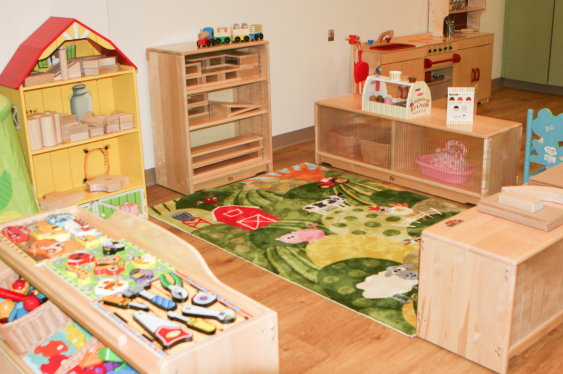 The rooms not only are safe, the environment supports emotional well-being, stimulates senses, and challenges motor skills. Specific areas around the classroom pro-mote individual and social interaction. 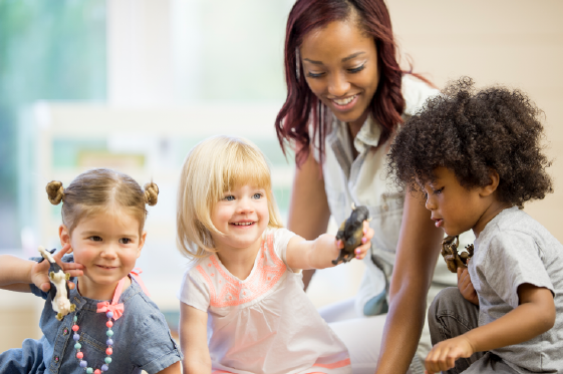 Toddlers will begin to learn about colors, shapes, numbers and the alphabet through daily fun and creative activities including singing songs and story time. Every Children’s Paradise staff member has a degree in early child-hood development and holds the appropriate credential/permit required by the State of California to respond effectively to the needs, challenges, and capacities of children and their families, helping them get the best start in life. 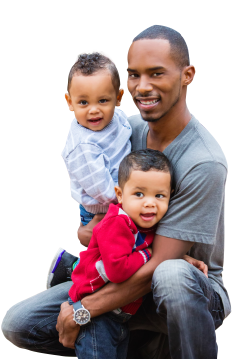 We assign our staff to work with specific ages based on their educational background and specialty experience in working specific age groups such as infant, toddlers, etc. We also support continuous staff growth by assessing the needs of staff and providing professional development activities to enhance their growth. 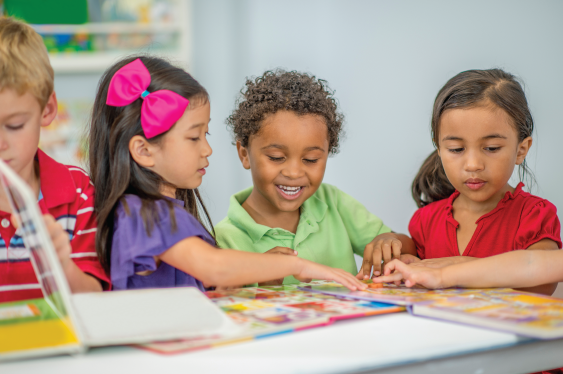 In our diverse classrooms, the children of wealthy families hailing from breath-taking homes attend school with the children of families who have survived homelessness. They play together and they learn from one another. Studies find that children from all socioeconomic backgrounds perform better academically and socially in high-quality, diverse environments. In addition, they become active listeners because of their unique backgrounds and experiences they talk about with other classmates. Children, it turns out, learn from differences. Every day the Children’s Paradise In-house Chefs serve up healthy snacks and meals including super foods like blueberries, tomatoes, avocado, black beans and yogurt to all children attending Children’s Paradise. 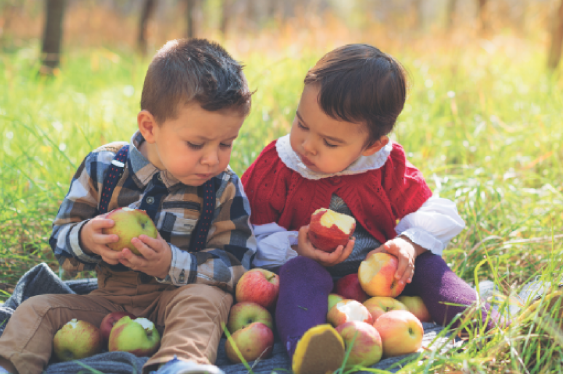 Snack and lunch is provided to every child so that children can learn about new flavors, and develop healthy eating habits that will last a lifetime. A current menu is posted on the front parent board and in the kitchen corner. The kitchen corner also displays our Harvest of the Month program infusing seasonal fruits and vegetable from local farmers. As a special bonus, parents can stop by our coffee bars to grab a coffee and muffin to fuel up on their way to work! 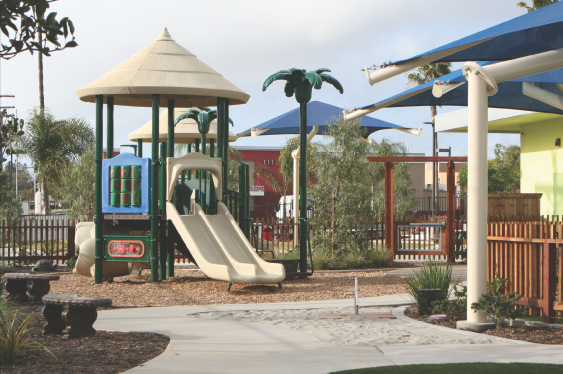 Our expansive outdoor play yards have been thoughtfully designed to engage specific age, size and ability. Areas are set up so that infants, toddlers and preschoolers all can enjoy the outdoors on real grass while expanding their emotional, social, intellectual and physical development. The main play structures have small steps, shorter slides, and low platforms with multiple access such as ramps and ladders. We also have fun with low tables filled with water and textured materials, fun tricycle paths for riding, clean sand boxes and special areas to enjoy quite time reading and make-believe play.